Bountiful Harvest: Fertility Enhancement for Women prompts you to relax and helps you to communicate with those around you, including your care givers. The very specialized medically-oriented hypnosis suggestions included in Bountiful Harvest speak directly to your subconscious mind, to regulate your physical body to ensure your fertility. This program was written specifically to help women going through In-Vitro Fertilization and related Assisted Reproductive Technologies to achieve their goals of a comfortable, healthy pregnancy. Let yourself benefit from this exquisite, effective, poetic, medical hypnotherapy program that will make all the stages of IVF as pleasant and productive as possible. If you have chosen to participate in the medical sciences’ gift of In-Vitro Fertilization (commonly referred to as IVF), this hypnosis program will help you in a multitude of ways to remain calm, relaxed, and optimistic as you move toward the joys of motherhood. It also helps your mind to prepare to receive IVF and any other fertility enhancing interventions as comfortably as possible—including injections and egg retrievals. 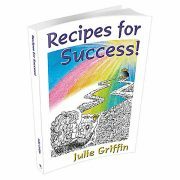 Medical hypnotist Julie Griffin, who has experienced IVF and other Assisted Reproductive Technologies to achieve pregnancy, wrote and presents this program. Bountiful Harvest lets you benefit from the knowledge of a medical hypnotist with deep understanding of how the body, mind, and spirit can all contribute to pregnancy—as well as the many issues facing women and couples engaged in IVF and other fertility enhancing procedures. Many believe, and Julie can personally attest, that IVF increases a woman’s chance at conceiving. 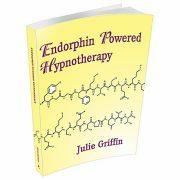 Beyond the benefits of modern medicine, Julie found that hypnosis dramatically improved her own pregnancy rate in concert with medical fertility enhancement processes. Simply put: hypnosis made it all work more pleasantly and faster. Bountiful Harvest: Fertility Enhancement for Women prompts you to relax and helps you to communicate with those around you, including your care givers. The very specialized medically-oriented hypnosis suggestions included in Bountiful Harvest speak directly to your subconscious mind, to regulate your physical body to ensure your fertility. This program was written specifically to help women going through In-Vitro Fertilization and related Assisted Reproductive Technologies to achieve their goals of a comfortable, healthy pregnancy. Let yourself benefit from this exquisite, effective, poetic, medical hypnotherapy program that will make all the stages of IVF as pleasant and productive as possible. Bountiful Harvest program contains safe, medically-oriented hypnosis suggestions that will prompt your body and mind to respond ideally to any medical interventions you choose to enhance your fertility. It addresses all the emotional and physical issues women undergoing IVF face. It provides you a relaxation break while at the same time directing your mind and body to create your desired outcomes: enhanced fertility and healthy pregnancy. It is charming, effective, and medically-sound. Winning combinations that provide ongoing encouragement as you proceed down the path to motherhood.